The Pound Sterling Euro (GBP/EUR) exchange rate made steady gains on the Euro earlier today despite continuing Brexit uncertainty, and is currently trading at €1.1233. Brexit remains the dominant factor driving Sterling, with the Bank of England’s (BoE) Mark Carney yesterday steadying the Pound (GBP) with his support for Prime Minister Theresa May’s Brexit deal. Nevertheless, Euro (EUR) investors remain concerned with the European Commission (EC) due to pass verdict on Italy’s controversial budget today. Markets are focused on Theresa May’s visit to Brussels today to meet with EC President Jean-Claude Juncker to finalise talks over her Brexit deal. 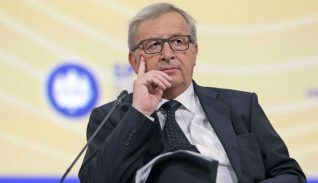 Tensions have flared, however, with EU states including Spain and France intervening over aspects of the deal. The Pound (GBP) came under further pressure earlier when the latest public sector borrowing numbers were released by the National Statistics Office. September’s borrowing figures showed a £3.3bn deficit, but this swelled in October to £8.8bn, far exceeding the expected amount and denting Sterling. The Euro Pound Sterling (EUR/GBP) exchange rate continues to struggle, with investors awaiting the EC’s judgement on the Italian budget. As the Eurozone’s third-largest economy any disciplinary action could see the Euro (EUR) tumble. However, the Italian Deputy Prime Minister Matteo Salvini’s has reportedly said that he is open to a budget review, strengthening investor sentiment in the Euro (EUR). Brexit news remains the main driving factor behind the GBP/EUR exchange rate this week, with Spain’s threat to reject any Brexit deal unless Gibraltar is taken into consideration highlighting concerns over EU-UK relations. 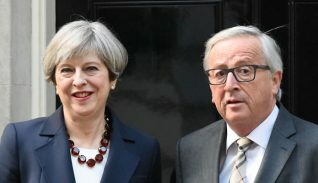 Theresa May is travelling to Brussel’s today to meet EC President Jean-Claude Juncker, with markets focused on what the pair will have to say about Brexit. With very little on the Eurozone data calendar today, markets will be looking towards tomorrow’s raft of data, encompassing a French business confidence indicator and Danish consumer confidence figures, before the European Central Bank (ECB) releases its latest monetary policy meeting minutes, around lunchtime. With the deadline fast approaching for the ECB to wind down its quantitative easing programme, markets will be keen to assess how far along Mario Draghi’s bank is in making this policy ambition a concrete reality. Looking further ahead, Sunday’s EU Summit remains a crucial moment for GBP/EUR traders, when EU leaders are due to approve the Brexit withdrawal agreement. This will have a predictably big impact on the Pound Sterling Euro (GBP/EUR) exchange should any deal be sealed – or not.